Though you’re quite beautiful, this just isn’t working out between us. I’m sure you’re going to make some other traveler very happy one day, but this just isn’t a good fit for me. Maybe my expectations were too high. Maybe there was just too much pressure. I don’t know exactly what went wrong here, but whatever it is, I’m sure it’s me, not you. 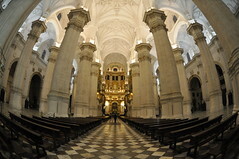 I see how you’re putting on the charm – surprising me with your enormous columned cathedral that looks so sweet and unassuming from the outside, your amazing energy at night, your birds singing like wild in the plaza. Dropping two sweet English guys by my side to keep me company was also a nice touch. If you’re going to try that hard. I’ll be happy to give you another chance. Okay, you win. 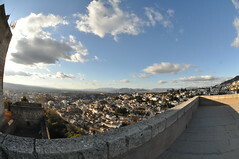 Your winding cobblestone streets in Albaicín that led me to the breathtaking view of the Alhambra finally did me in. love your letters to granada/so clever/so fun… english guys still company? xoxo p.s. 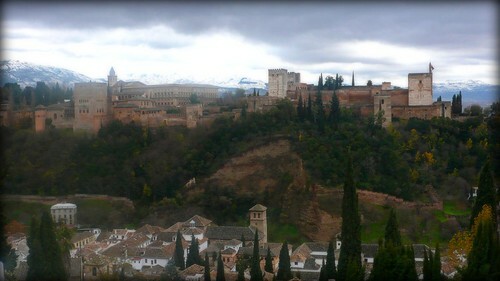 picture of granada is outstanding!